Come Learn About The Endless Possibilities of Hypnosis! 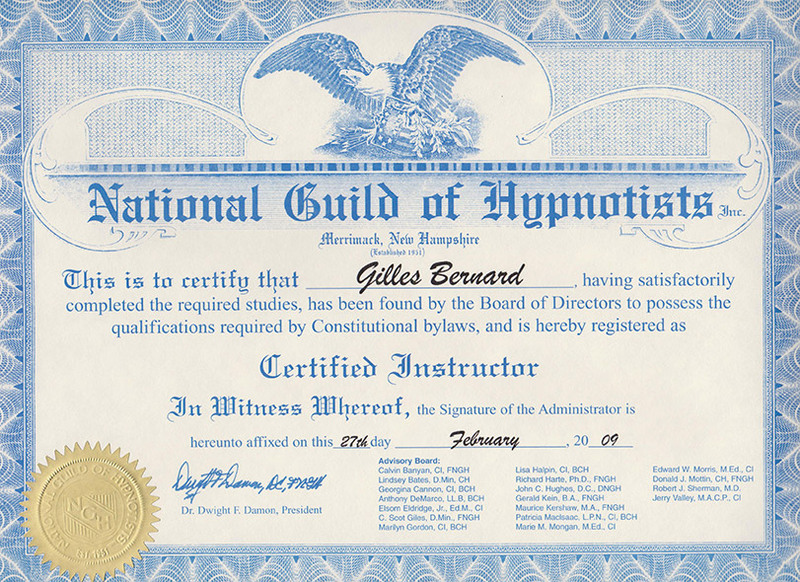 The course is taught by Gilles Bernard who is a National Guild of Hypnotists (NGH) certified instructor and uses all NGH approved material. 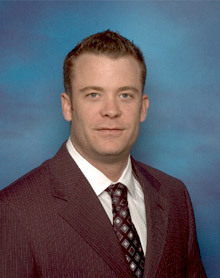 Gilles is also the founder and hypnotist of London Hypnotherapy Centre in London, Ontario. 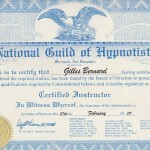 When you train at our center you become part of the National Guild of Hypnotists (NGH). The NGH is the world’s largest and oldest hypnosis organization. Class will be balanced with instruction, demonstration and practice. You will be able to gain confidence by practicing with other students, so that you will be prepared to go right to work using your skills. Upon completion of all class hours, independent study and hands on practice, students will be eligible for examination leading to graduation as a Certified Hypnotist! 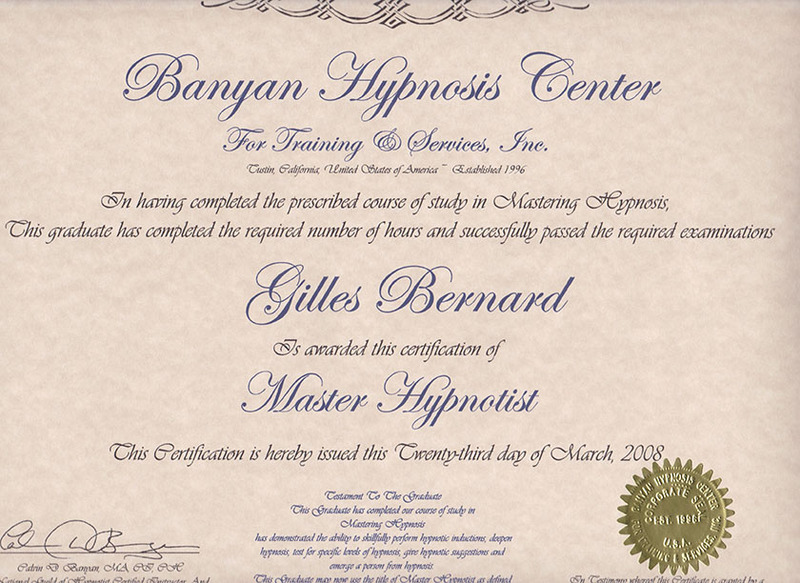 Gilles became interested in hypnotism at an early age when a stage hypnotist visited his local high school. 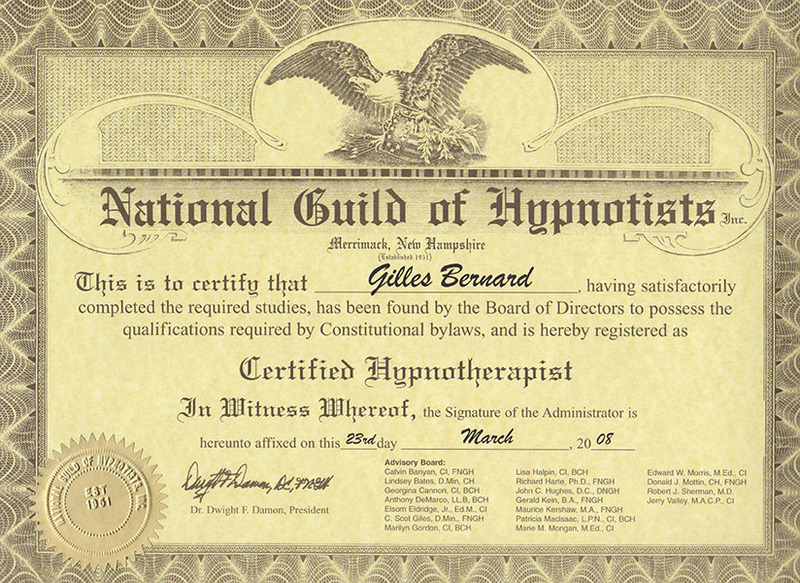 From this point Gilles did his own research on hypnotism and was fascinated about the idea of communication between the conscious mind and the subconscious mind. Furthermore, he realized that with this communication it could help people become aware of the power they have to make the changes they desire and to achieve their goals. Knowing that helping others was essential to clinical hypnotherapy, he began to look at the practice as a career path. Now he thrives off of assisting his clients with breaking bad habits, gaining confidence, and becoming the person they always hoped to be. 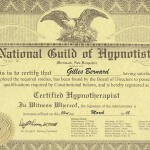 Gilles Bernard is the owner and Hypnotist at the London Hypnotherapy Centre which has been operating for over a decade. He has Hypnotized thousands of people, weather it be one on one sessions or in groups. Gilles has worked and trained with the leading Hypnotists, LP Practitioners, Life Coaches and spiritual leaders throughout North America. 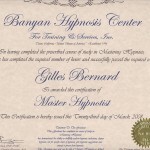 Apply for Hypnosis Training Today! This innovative Hypnosis Training program is designed to give the participants a working understanding of hypnotism. The course is practical and down-to-earth, concentrating heavily on the how-to-do-it aspects. Apply today as Class seats are limited. This comprehensive 100+ hours course is designed to give students a hands on approach of hypnosis. Students will be trained various induction techniques and be able to produce a hypnotic state. Once this is achieved they will be shown how to use this state to create effective change in their client.